Karina's Kreations: Hello There Tag! Do you ever need cute packaging for gifts? Stampin'Up carries so many fun items!!! Some of the items are even on sale right now. I'm invited to Mad Hatter tea party today and thought I would bring a small hostess gift. 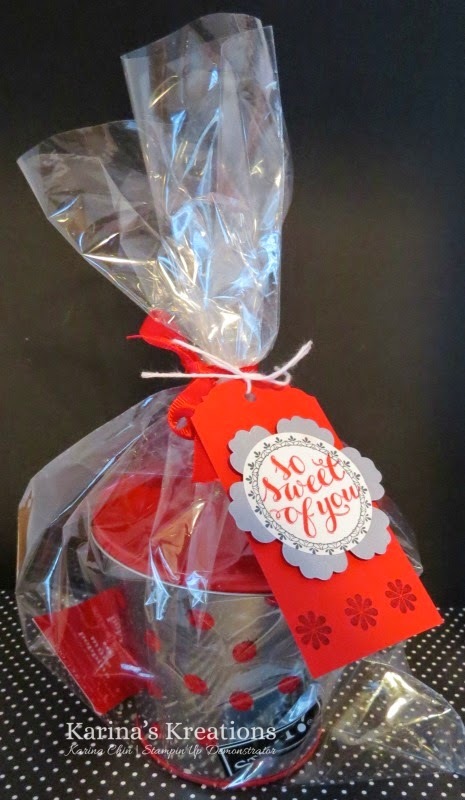 I was trying to create some cute packaging so I found a cello bag and made a cute tag using the Hello There hostess stamp set. There's three ways to get the exclusive hostess stamp sets. You could host your own special stamp night and invite your friends, you could join one of my monthly classes or you can come to my Stampin Buy One Free Sale on June 5th from 9:00-8:00. I'll have all my retiring items on sale and let me tell you that there are tons of items!!! 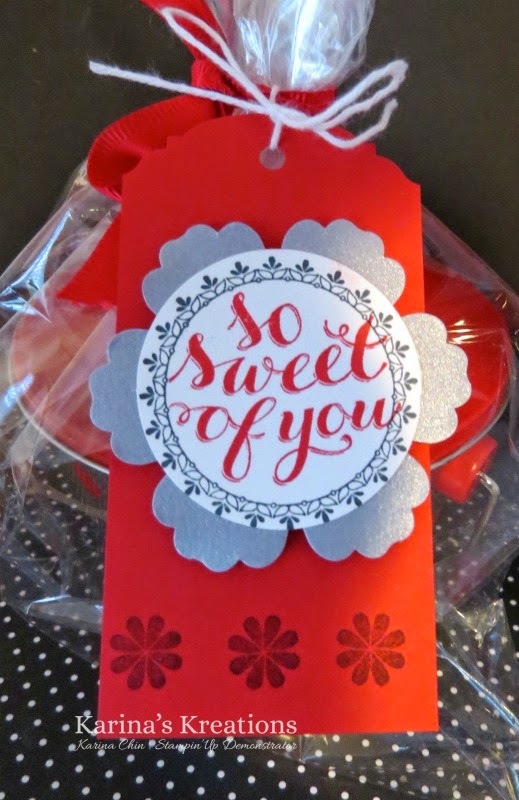 I made this cute tag using the Ornate Tag Topper Punch, Brushed Silver card stock, Blossom punch and Whisper White Baker's twine. The Brushed Silver card stock, Hello There stamp set and Blossom Punch are retiring so get them while you can. Click here to place you online order if you live in Canada!